We've all heard some ridiculous reasons not to go veggie but not having enough vegetarian protein isn't one of them. Beans, eggs, kale and tofu are just a few meat-free ingredients that banish the idea that a vegetarian diet is anything short of AMAZING; especially when it comes to getting your protein fix. If you still need convincing here are 15 vegetarian recipes that pack a protein punch. Meat might be off the menu, but that doesn’t mean protein needs to be. So whether you are looking for breakfast, lunch, or dinner inspirations, these recipes are meat-free and high in protein. Start the day right with this protein loaded breakfast. Quinoa is one of the best possible ways to get a protein fix as it contains all nine of the essential amino acids. It doesn’t get much better really. Quinoa, eggs and spinach are all packed with protein, and all included in this delicious recipe. Just add lemon zest and goat cheese (even more protein) to give some extra flavour. Serve with pita, over some greens or enjoy alone, these falafel burgers are versatile and filled with protein. Each burger has 10 grams of protein and 5 grams of fibre for good measure. This easy to make recipe is sure to give you your necessary protein hit. The power combo of eggs and avocado is full of protein while their healthy fats which will keep you fuller for longer. Quinoa is an all round super food, there's not much you can’t do with this grain. These quinoa quesadillas are a delicious way to up your protein intake and the addition of black beans means that this meal gives you the same protein intake as chicken. Who needs meat? Anything with halloumi in it is automatically OK with us but pair with courgettes, spinach and mint oil and you have the ultimate protein packed salad in your hands. For many vegetarians tofu is the go-to food to get your protein intake. Can we all just agree that tofu isn't exactly known for it's bangin' flavour, so why not bake it in honey and garlic. This is sure to become you new favourite snack. Lentils are the cheapest source of protein out there and can pretty much be used in anything. This lentil and mushroom Ragu served over your favourite pasta is a satisfying meal that’s protein heavy. Paring sweet potato with protein rich quinoa is a great way to boost your protein intake to a whole new level. What better way to enjoy these ingredients than in an epic burger? Top with a fried egg for some more glorious protein. Like quinoa, edamame beans contain all 9 essential amino acids that the body requires but cannot make itself. So to get its full benefit, enjoy it steamed and lightly salted. Not only will you get 4 grams of protein in just 2 tablespoons of chai, the seeds are also a powerhouse of goodness, loaded with iron, calcium, zinc, and antioxidants. Why not try them in this coconut ice lolly. 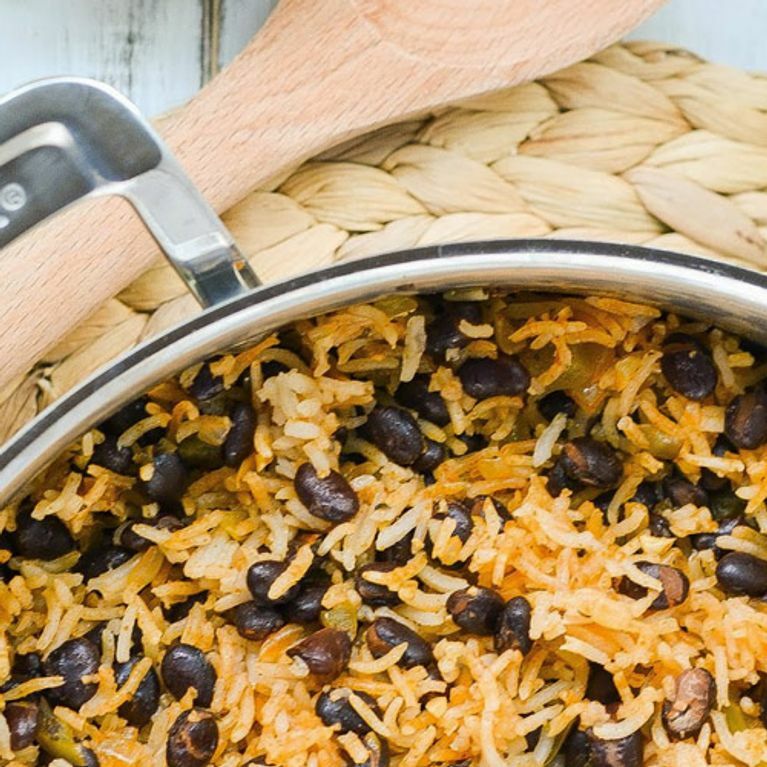 Simple, cheap and a great source of protein, black beans are low in methionine and high in lysine, while rice is low in lysine and high in methionine, combine them together and you have a meal with as much protein as meat. Ezekiel tortilla is a mix of wheat, barley, beans, lentils, millet, and spelt. Together this mix of ingredients makes for a nutritious loaf that contains all of the essential amino acids. Make it into a pizza to enjoy its full goodness. The perfect protein snack, peanut butter provides heaps of essential amino acids and is a easy way to add protein into your diet. These little balls of peanut butter goodness taste just like Reese’s peanut butter eggs, but healthier. Not only are eggs a great source of protein but the addition of Greek yogurt ups the protein level even more. In fact, Greek-style yogurts contain about twice as much protein as regular yogurts, and not only will you get protein from this meal, you’ll also get gut-friendly probiotic bacteria and calcium.